The Greenhouse at the Jefferson Hotel. Growing up, I – like most little girls – threw a lot of tea parties. My dolls would gather to drink tea and chitchat, and once in a while, my stuffed animals joined them. I loved tea parties, though at the time in my life where I hosted them frequently, all of the best parts, the tea and the treats and the conversation, were imaginary. When I got older, tea parties mostly vanished from my life. With the exception of the occasional vacation splurge or bridal shower, brunch replaced afternoon tea as the place where grownup-me found hot drinks and catching-up time. 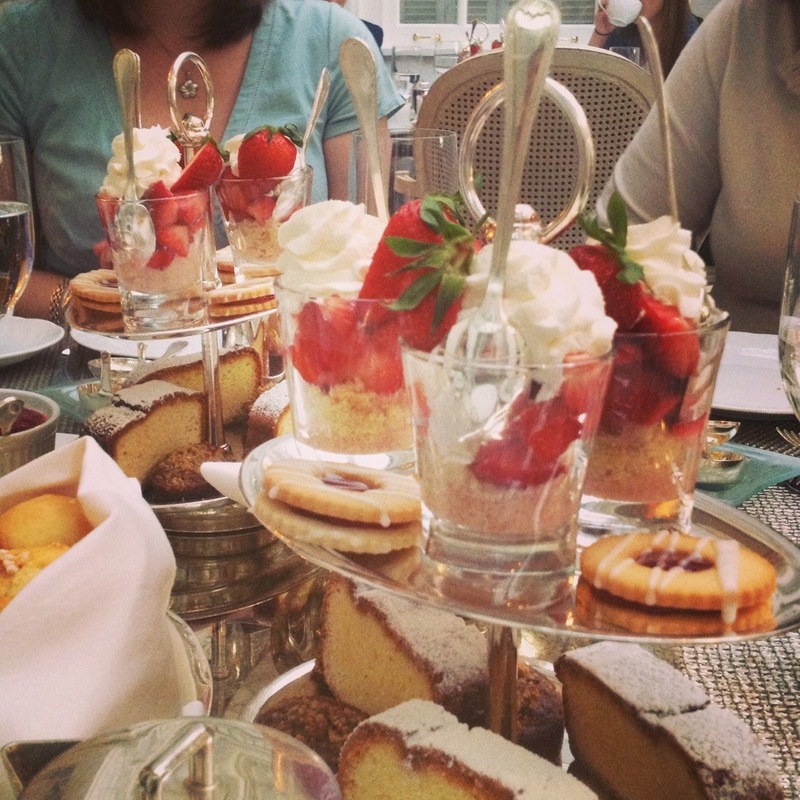 Until today, that is, when I joined a group of girlfriends at the Jefferson Hotel for afternoon tea. 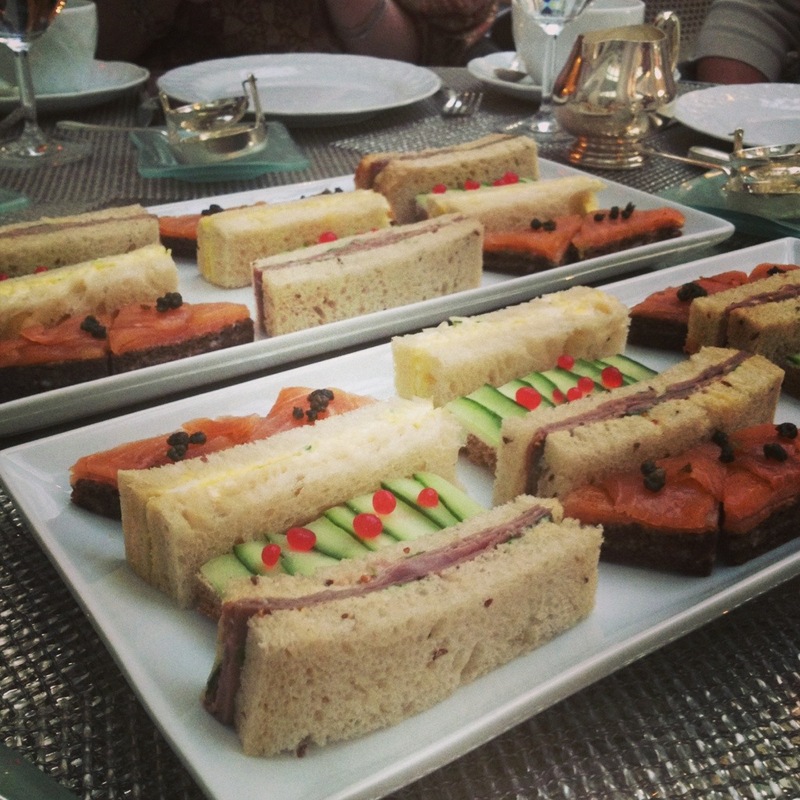 Fancy tea, part one: finger sandwiches (roast beef, cucumber with grapefruit caviar, egg salad, and smoked salmon). For two hours, the six of us – who had donned springy dresses in honor of both the venue and the welcome arrival of warm weather – feasted on finger sandwiches, scones, strawberry shortcakes, and more, all while talking as much as we could while dealing with so much food. It was absolutely delightful, and left me ready to make fancy tea part of my regular routine. Fancy tea, part two: strawberry shortcake, cookies, cakes, and scones with jam and Devonshire cream. Once I recover from the sugar shock, that is. Previous Article Blue. Yellow. Pink. Spring? What F.U.N. to indulge in that treat!! The menu looks over-the-top fabulous!! Can’t think of a nicer way to spend a spring Saturday. Just curious. Was there any actual tea involved? If so, hot or cold and what flavor? I’m imagining tea pairings with the various foods. Sounds like great fun, btw. Yes, there was tea, but not in pairings. We all just got to pick the kind we wanted. I didn’t take pictures of it because, well, it just looked like tea. Interesting – the connotations of “tea party”. Took me a moment to realize you meant a real social occasion with tea! Looked delightful. You were in Richmond and you didn’t call? I’m very sad…although I was too exhausted to move so I guess it doesn’t matter. Of course not! I would definitely have invited you! 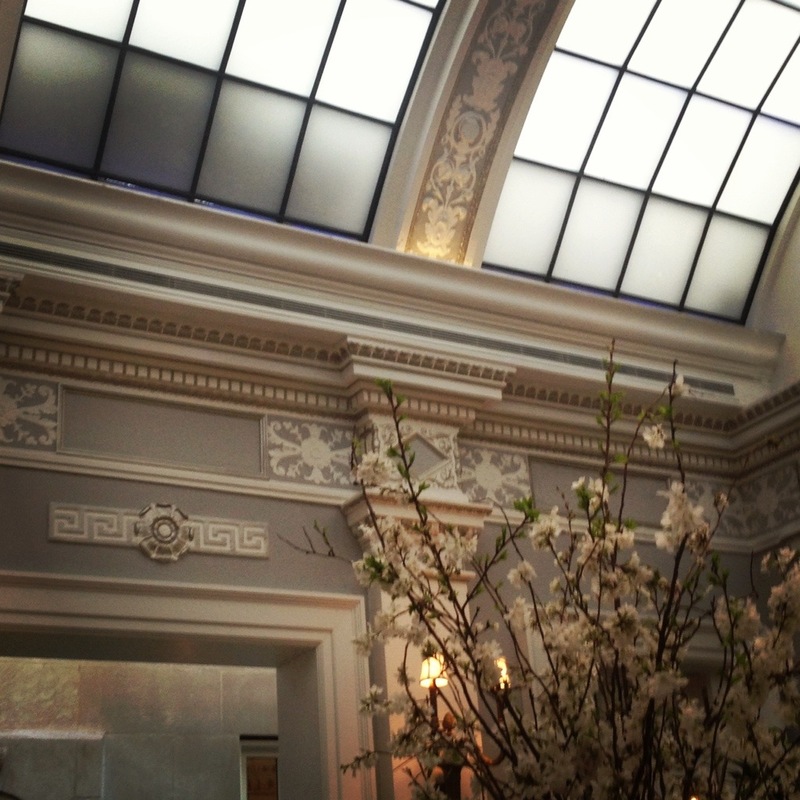 DC has a Jefferson Hotel too… Though not quite as posh as the one in Richmond.